This is an 8-port SCART switch made specifically for retro-gaming. I strongly recommend it for anyone who has multiple consoles. 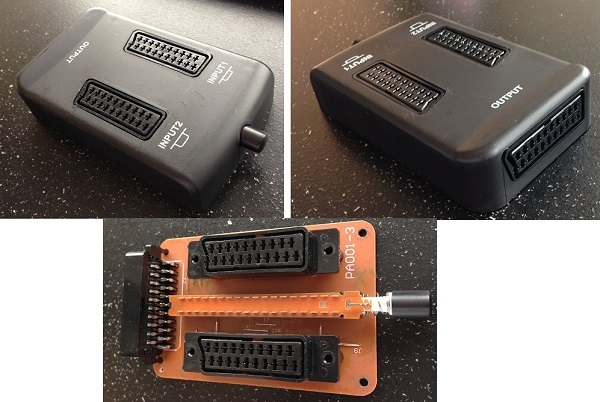 It’s current revision has two SCART outputs (no DSUB or separate audio), but it also includes a digital sync processor! Please check out the review page for more information. In my very limited testing, I’ve found these switches to be a great, low-cost solution. I’ve yet to do an electrical analysis, but I get no interference when multiple consoles are plugged in and the manual switching works great. WARNING: These switches have two outputs, but they can only be used one at a time!!! Do NOT use this as a dual-output switch! This is an 8-port SCART switch from Lotharek. It has one SCART output and is powered by MicroUSB. These seem to work well and can be found pretty cheaply. There are only three inputs, but the extra A/V outputs come in handy if you need separate audio-out. 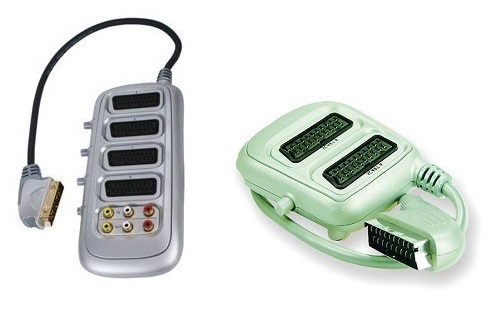 Absolutely stay away from any switches that look like the ones pictured below (sometimes sold under the “Lindy” brand). I’ve tried a few of those and they ranged from “bad” to “terrible“. One even caused a dark purple tint across the screen! If you came here while reading the RGB Guide, please move on to the section that shows how to get RGB from each game system! That section also has info on audio enhancements, which versions of each system output the best quality, plus some other helpful info! Alternatively, head back to the main page to see what other retro-awesomeness is available on this site! Gscartsw Lite 1.5 Automatic 8-In 2-Out RGB SCART Switch GSCART, Ships Fast! Intec Wireless AV Selector W/Remote Control for the Original Xbox see pics.